For Corporate Hospitality Suites (20 people or more), please click HERE for more information. For individual VIP suite tickets (19 people or less), please note that regrettably tickets are sold out. 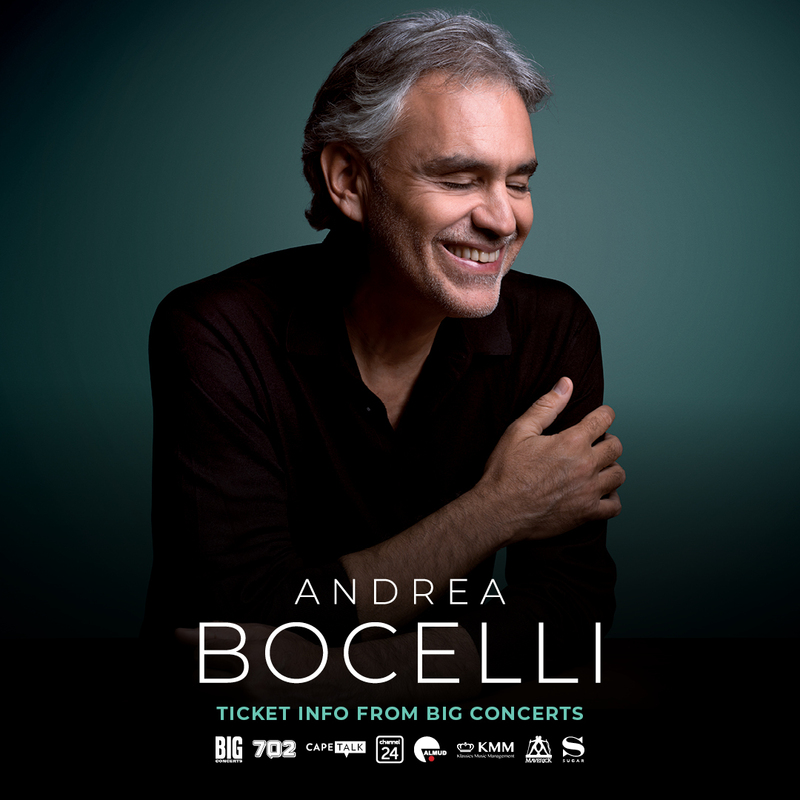 Big Concerts has announced that Carlo Bernini, Maria Aleida, Beverley Knight and Anastasiya Petryshak will be joining Andrea Bocelli for his South African tour. Presented by CapeTalk, 702 and Channel 24.